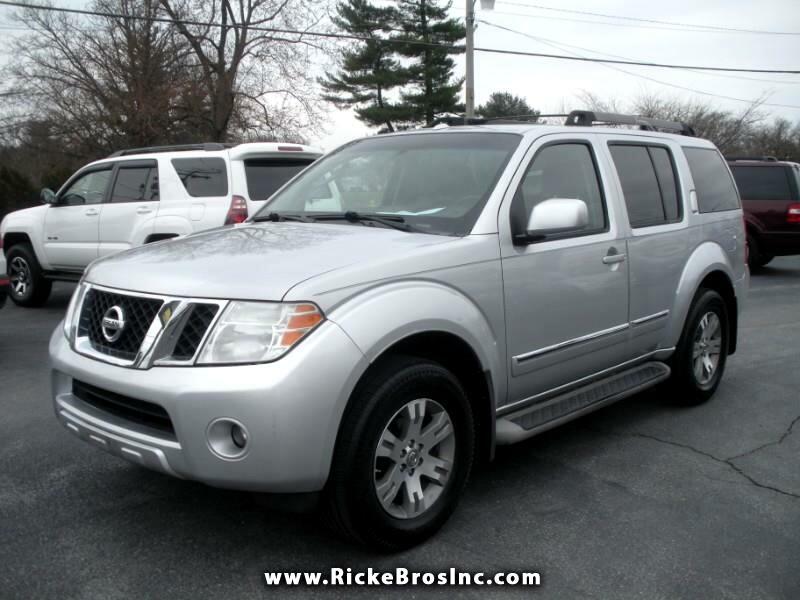 Used 2008 Nissan Pathfinder LE 4WD for Sale in York PA 17406 Ricke Bros Inc. Located at Royal Motorcars of York. Prices listed are cash prices. Visit our website, http://www.rickebrosinc.com. Contact us for more information at (717)757-3838 Or stop by Royal Motorcars of York, 3901 E. Market Street, York, PA 17402. Royalmotorcars@comcast.net. HOURS: MON-THUR 10am-7pm, FRI 10am-5pm, SAT 10am-3pm. (Winter hours Mon-Thurs 10am-6pm) We do our absolute best to provide you with the most accurate information available. Sometimes an error may occur. Please verify all information listed on the vehicle with your sales associate.